Ideally every home owner or renter knows the value of a good plumber and has one or two names tucked aside for emergencies like a leaking faucet that is now a gushing waterfall or a clogged toilet that is over flowing. But how do you get the names of those golden plumbers is the question. Picking someone out of the yellow pages is risky at best. The biggest ad in the phone book will cost the most in order to draw your attention but guess that that cost gets passed down to? Even just picking out the smallest ad can be risky since the only information you get is the name and phone number with little else to go on. Thankfully there are consumer driven web sites that offer up the names of recommended plumbers in Dallas,TX. Their lists offer more than just a name; they give a reason for the recommendation. This can become an invaluable tool when you need someone for a job more complex than just fixing a leaky faucet. The more complex the job will be the more involved your search should become. Once you limit your search to the top three or four high rated plumbers and read the reviews both the good and the bad and make a decision on who to interview you need to have some basic questions in mind. The essential information that you need to have includes things like finding out the hourly rate verses the emergency rate and when does it become after hours? Is the plumber available 24 hours a day or just bankers hours? If you find a plumber you like that has limited hours it might be a good idea to keep his number as a back up or for small honey do jobs. Make sure the professional of your choice is licensed, and if applicable for your state bonded. Other good basic questions to ask a potential plumber would include finding out what kind of payments do they accept. In the middle of the night you don’t want to be scrambling to find an ATM because the plumber can’t take a debit card. Allot of these questions may already be answered on the review from the web forum but is still a good idea to make sure the information is up to date and current. Finally a good selling point to finding any contractor is the fact that as a member of these kinds of web sites you have the ability to write and post reviews of anyone you use as well as read post from other members. The power from consumer voices is very loud and most business realizes that one unhappy customer will tell everyone about the experience and the business reputation can quickly suffer. The majority of contractors who get recommendations from clients that post on the web site work hard to maintain the valuable free advertising and will work quite willingly with clients to keep them happy. You can also find a list of reputable Dallas plumbers there. From there, you can view the different companies along with their website and contact information. From there, you can try visiting their website each and check if their services can satisfy your expectation. Actually, most of the Dallas plumbers there have similar offered services. There may be slight differences on the rate but that can be always negotiable as you contact them. Dallas plumbers are hired to repair the broken connections inside your house. It can be the water heater, the drain, or even the sewer line. Although the Home Wizard can easily give you the short list of available contractors within Dallas, it is always important for you to make sure that they are really reliable. Home wizard can have the list but of course, they may also skip some important details on each service provider, which can be crucial in testing the reliability of a company. You should still exert some effort in checking the reliability of your desired contractor. From there, you will prevent yourself from blaming anyone if in case you got the mistake in choosing a company. Some issues can be taken care on our own but sometimes the plumber must be called due to the non availability of proper tools at home and some may not have the skills to tackle the problem. one always take the help of internet to gain some basic plumbing information as it will help one understand the plumbing terminology while talking to the plumber. It would be easy to know if the service he is talking about would actually cost the same or he is cheating on the charges of the services. If one is skilled with some plumbing skills then it would be easy to get the work done from a plumber according to ones will. 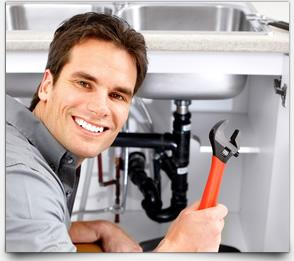 It is important to contact the right type of plumber as it depends on the services. Some of the plumber will provide only the basic services while others would do all the plumbing related work. Some would take order for the commercial as well as residential plumbing work of newly constructed buildings. It would be great to seek help from the experienced plumber as they are well qualified to solve all the plumbing problems. They will not only fix the existing problem but also help to maintain it by avoiding the causes of it occurring again in the future. This would help one with tricks that will be beneficial in fixing the problem at any given time. It is quite difficult to find such plumbers but a little research would help a lot in searching one. a famous and renowned Dallas Plumber would be the best as they would have nothing to hide from their past work experience.customers opinion would matter a lot in such cases. Word of mouth is very important as people would talk and give information from their personal experiences. It would give one the idea how the concerned plumber would work and would get to know about the service charges and one can easily rely on them without a second thought.